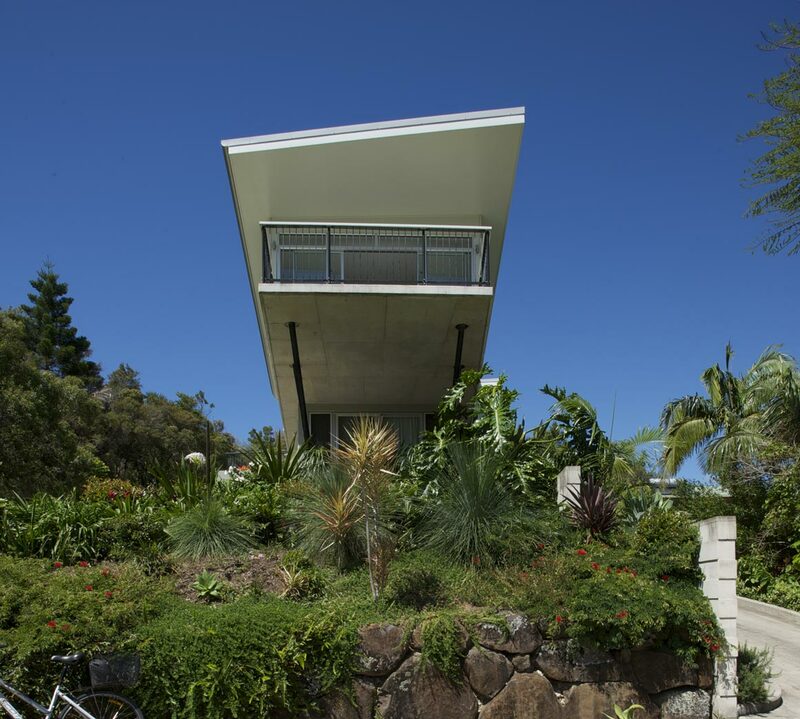 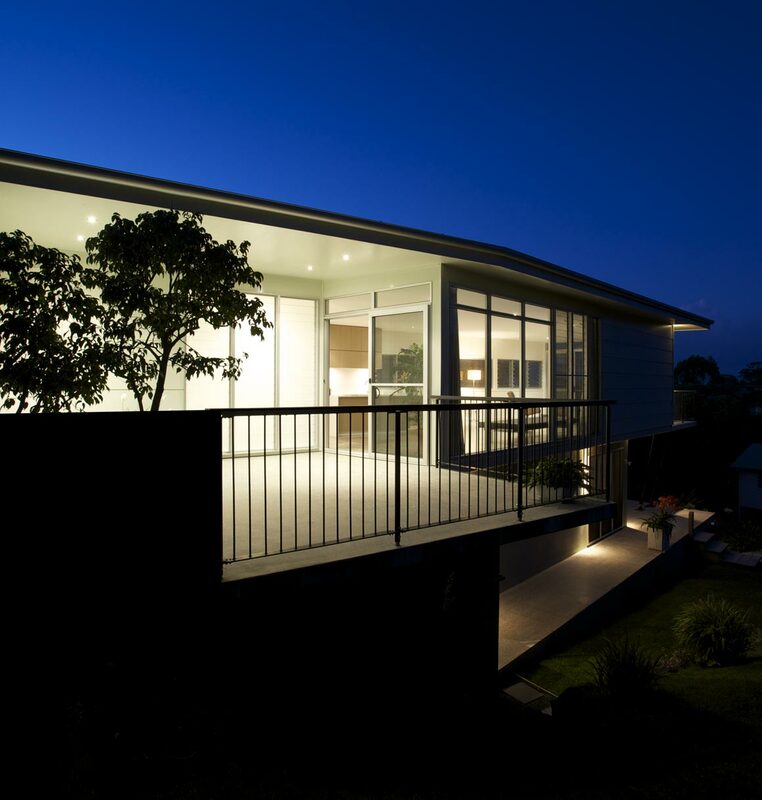 The design of this house was driven by the connection between the coastal heath on one side and views over the bay to the other. 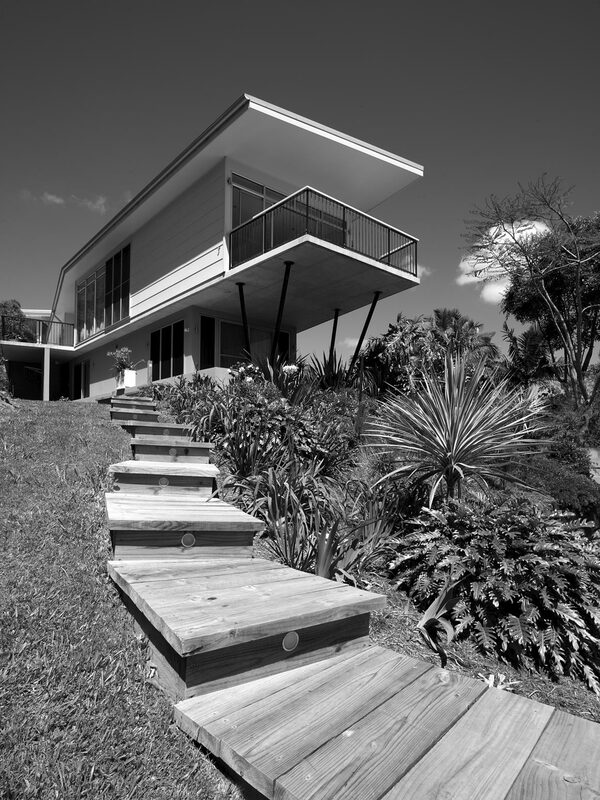 The house rises out of terraced tropical gardens with the top level floating above the site while still connecting to the heath at the back. 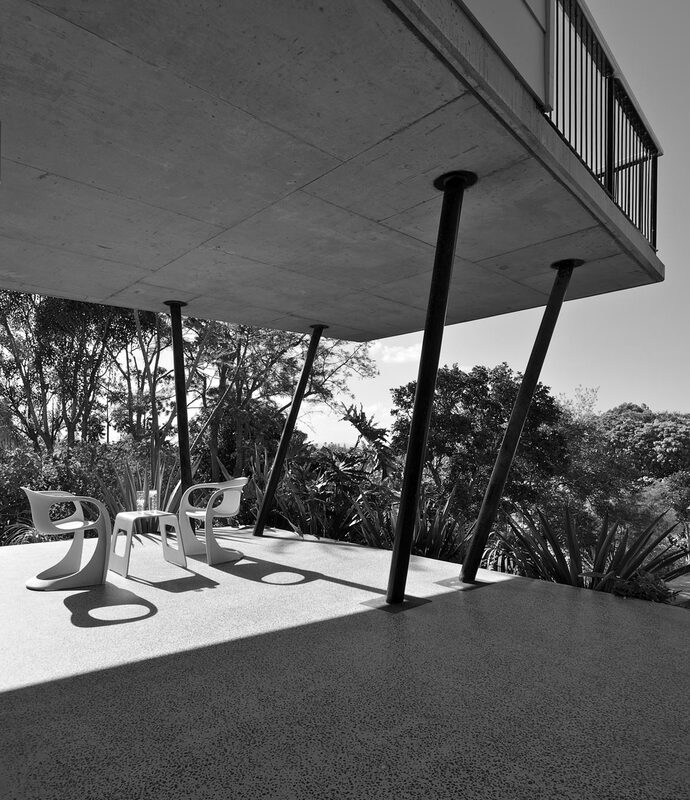 No heating is needed in winter due to the low angle sun warming the concrete slabs, which slowly radiate the heat during the night. 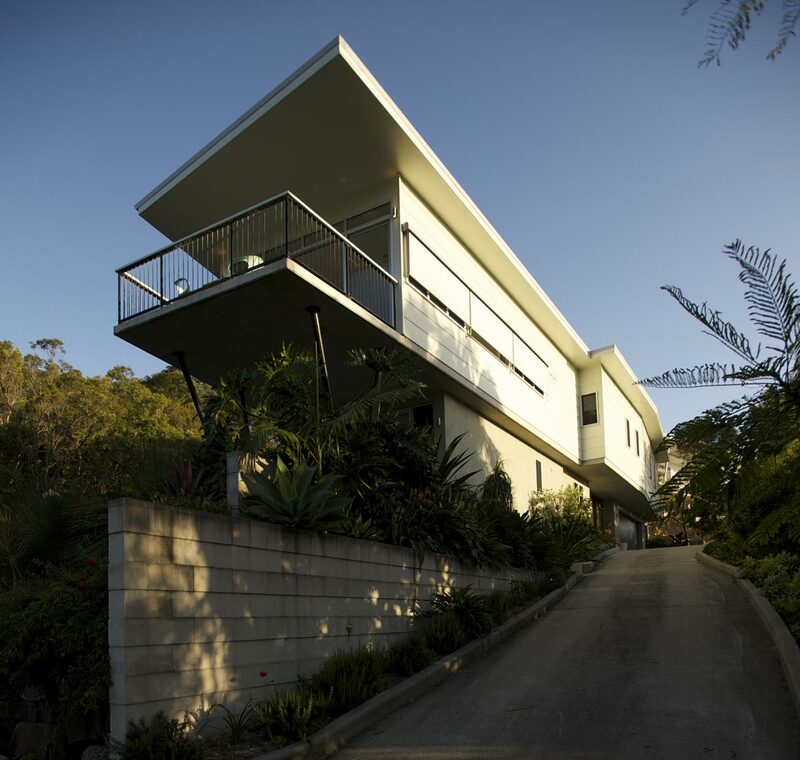 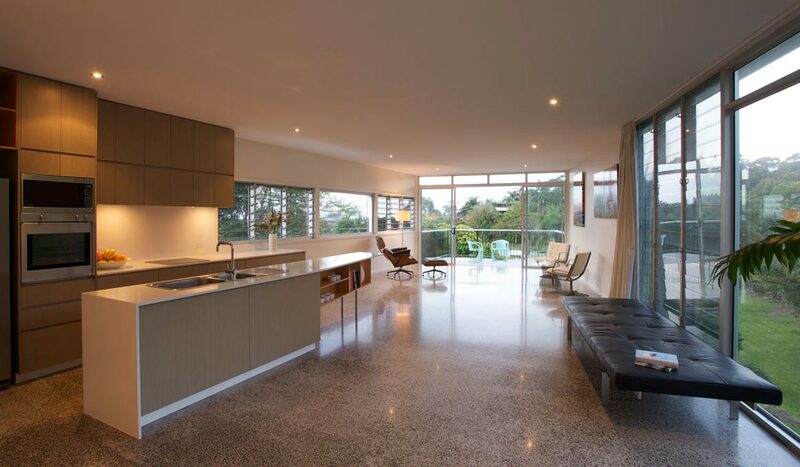 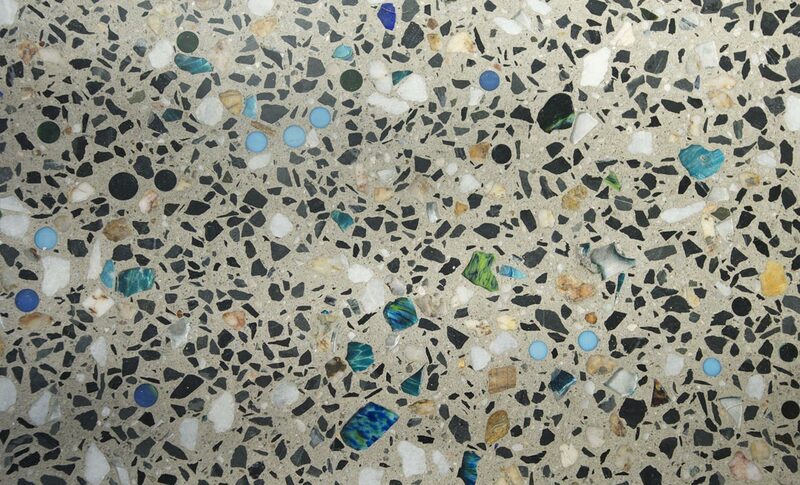 Durable and low maintenance materials were a key concern to the client in this beach house.